Our Boiler offering includes firetube, industrial water tube, HRSGs, cast-iron, commercial condensing and non condensing, electric boilers. 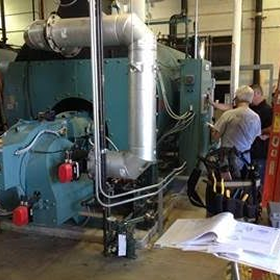 Our Burner offering includes commercial and industrial, ultra-low emissions, gas fired, oil, alternative fuel replacement burners. 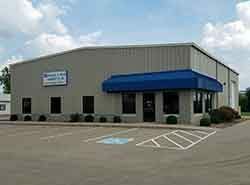 Our Cooling tower offering includes modular fiberglass and galvanized cooling towers. Our Heat Exchanger offering includes u-tube, straight tube, plate & frame, brazed plate heat exchangers and replacement tube bundles. 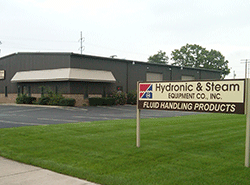 Our Pump and Accessory offering includes circulators, pumps, submersible pumps. vertical turbines, along with triple duty valves and suction diffusers. Our Steam Products offering includes steam traps, relief valves, flash and blow down tanks, condensate and boiler feed units, deaerators, sample coolers. 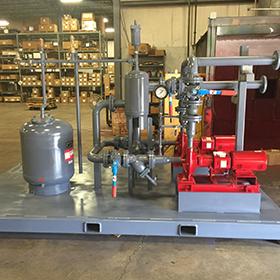 Our Hydronic Specialty offering includes air separators, expansion tanks, coil kits, balance valves, relief valves, gauges and thermometers. Our Variable Frequency Drive offer includes wall mounted and motor mounted VFDs, control panels, soft starters. Our Venting offering includes stainless steel special gas, power pressure, polypropylene, type B, flexible gas venting. Our Water Heater and Storage Tank offering includes on-demand, tank type and high volume water heaters and storage tanks. Our Water Treatment offering includes filters, strainers, water softeners, chemical free treatment systems, reverse osmosis, glycol. 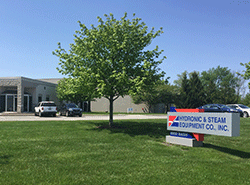 At Hydronic & Steam Equipment Co., Inc. we provide system aided design specific to heating, cooling, plumbing and process system applications. 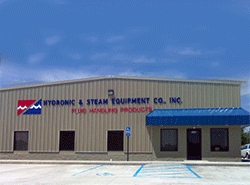 At Hydronic & Steam Equipment Co., Inc. we support and service what we sell. Our team of technicians can assist you through the startup, warranty and operation of our products. 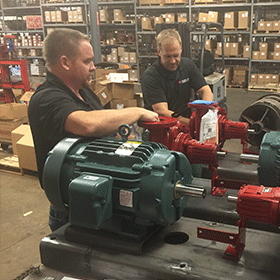 At Hydronic & Steam Equipment Co., Inc. we can repair or re-build most manufacture’s pumps in our in-house repair and fabrication shop.